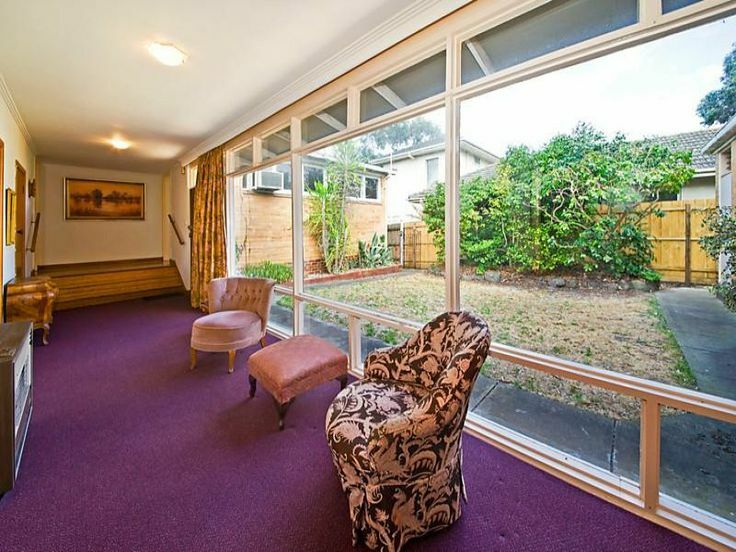 So there I was having a quick glance at the local property market (which seems to be exploding a little at the moment) when I spotted this listing in Beaumaris. 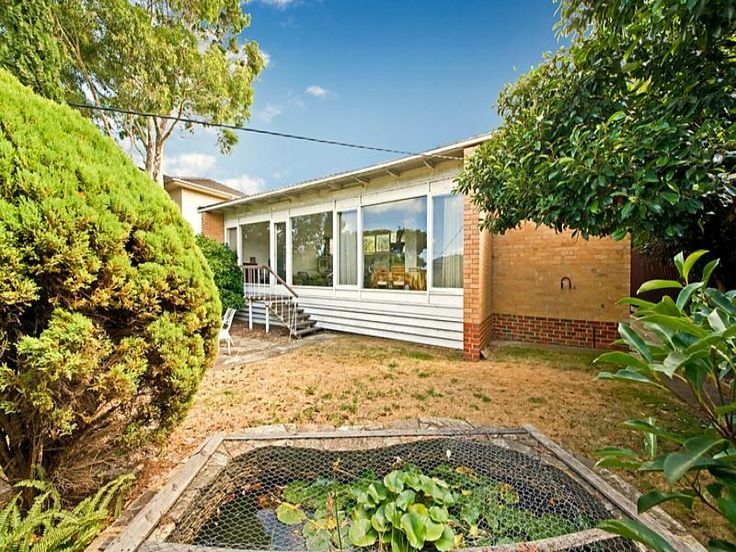 The lead photo shows nothing of the actual home and is clearly aimed at those who might just want the land and view (which I admit is pretty good) but what has grabbed my attention is that the floor plan of this home is almost identical to that of our own Beauie classic! 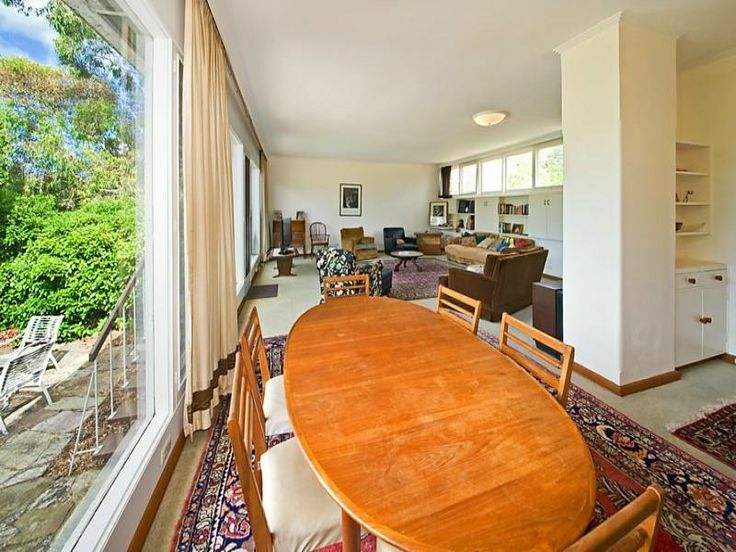 This home sits at a high point of Beaumaris and is set above the road behind a huge stone retaining wall. Steps lead off the footpath and up around to the private courtyard shown above. I love the layout of this home (*biased) with the living areas across the front, bedrooms across the rear and a linking hallway through the middle. Gallery entrances are fantastic and have far more appeal than a pokey hallway to the side of a garage. So who is the architect? Since falling in love with my home and subsequently the world of modernist design, I have been desperate to find out more about the architect and what other works he might have completed. I have never had any luck on that front, that is until I was discussing this home and its similarities with a friend. He suggested I do a search on Trove for the architect’s name and all of a sudden there he was! I’m now in the process of trying to find out more about the homes he designed so it would be amazing to think that this was one of those! The home is in pretty good and original condition, with some great cabinetry to the living room and a well laid out living/dining/kitchen area. The layout makes me wish that our home was in this condition when we bought it, allowing us to better restore its original features. There isn’t much to the garden at the moment, but there is so much potential! The front yard is private from the entry steps, has great access from the living areas and by sitting so high above the road, it has a great sense of seclusion. 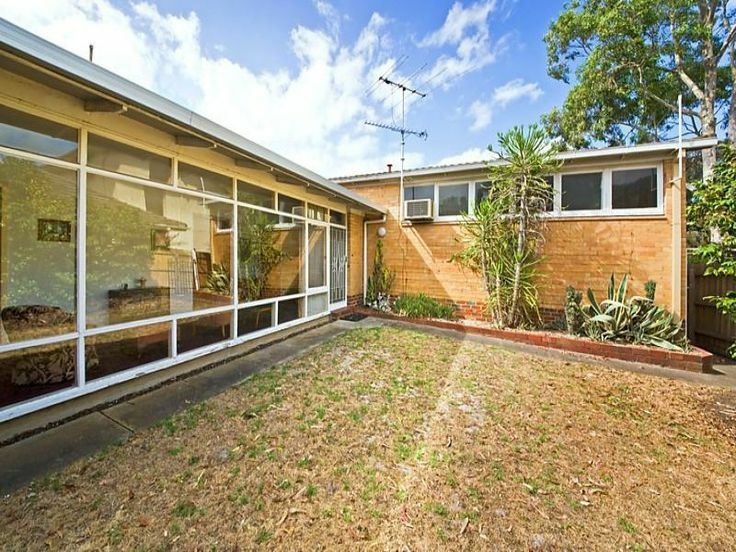 The perfect spot for your new mid-century Australian garden! The rear yard is dominated by a double carport off an access lane, however you could really improve the space. All that would be required to create another great modernist garden would be some fencing for privacy and amazing mid-century plants! Another Beauie classic with a thoughtful design and amazing location! Please spread the word and hopefully this home can be retained and restored! 506 Balcombe Road Beaumaris Vic 3193 – House for Sale #116049039 – realestate.com.au. Thanks Michelle! I will definitely check out the state library. I am keen to find some old photos of our home. We were fortunate that Bayside Council had our original plans but I guess that is not the case for everyone. Good luck with your search! Previous Previous post: Survival of the fittest or is it just luck?